If you are running a single battery to power both your motors and FPV setup, you may notice interference in your video, seen as moving lines in your video feed. The interference is a product of the motors causing voltage fluctuations as they change RPM. If you find that you suffer interference when your motors are running and not when they aren't, then a noisy power supply is probably your problem. One solution is to use a dedicated battery to power your FPV setup, but this will add extra weight and it means yet another battery to charge. A better solution is to use what's called a power filter (also known as a LC filter). The filter is installed between your FPV gear and the incoming power from the battery. These particular LC-Filters are vanishingly small in size, so you'll have no problem finding space for one on even the tiniest of micro drones. The filters features a large inductor and capacitor components to remove noise, feeding a clean power supply to your FPV gear. 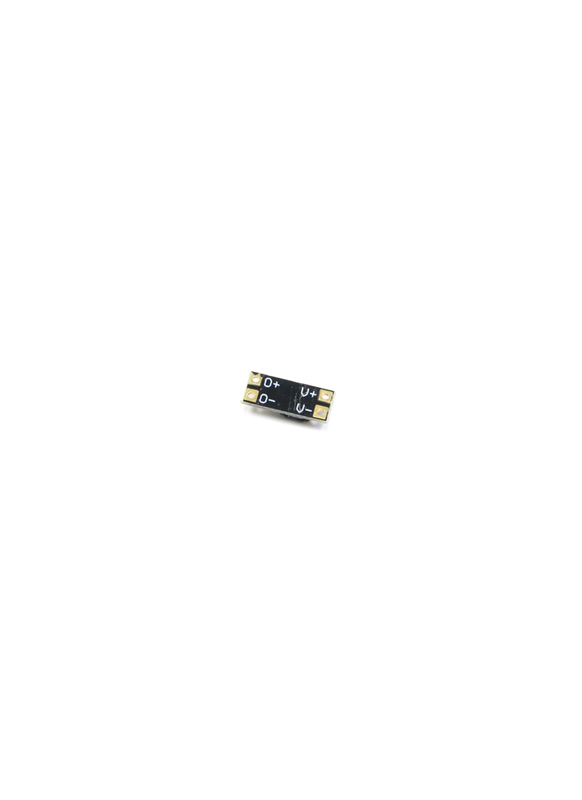 We have two options available: the Super Micro LC Filter which is rated at up to 1A of current and supports 1S - 4S LiPos, and the Micro LC Filter which is rated at up to 3A of current and supports 1S - 6S LiPos.